Master weaver Aunty Marilyne Nicholls is hosting a ten-week weaving workshop in Maryborough this winter. 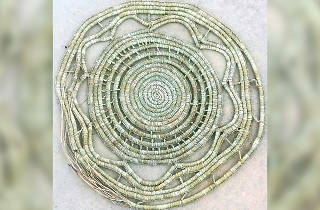 Participants in the workshop will learn the traditional weaving process and create at least one completed work. 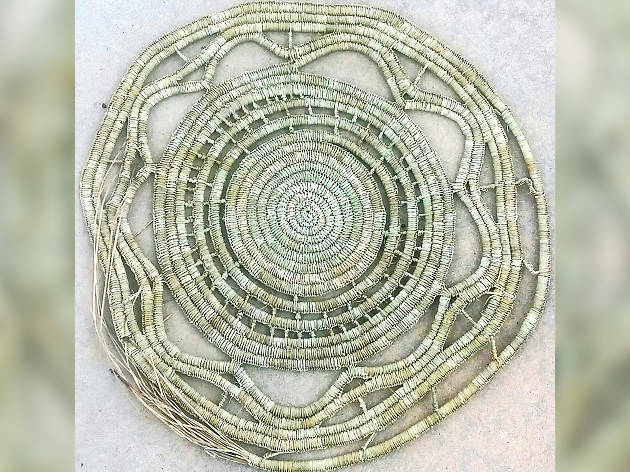 With only ten workshop places available, this is your chance to learn the art of weaving in a small, intimate group environment. The workshop costs only $100 for the entire ten-session course, and the completed works will go on show in the new exhibition Never-ending Journey which is on at Tren DuBourg Hall in Maryborough. Never-ending Journey brings together the work of two artists: weaver and painter Aunty Marilyne Nicholls and printmaker and painter Nyrel Saunders. The show will feature prints, hangings, sculpture and video alongside historical mining equipment to explore the history and changes that have incured in the Central Goldfields region since the gold rush. Entry to the exhibition is free.